Hi everyone! My Husband (MH) bought me a set of acrylic paint to play with! When I saw the little tubes of bright colors, somehow, the first thing that popped into my head was Tangram—one of my favorite childhood games. Interestingly, this 7 piece puzzle was first invented in China during the Song Dynasty and is now popular all over the world. Since this was my first experiment with acrylic nail art and being a perfectionist, it took me nearly 3 hours to complete. MH thought I did a pretty good job playing Tangram on my nails. What do you think? Do you like Tangram too? 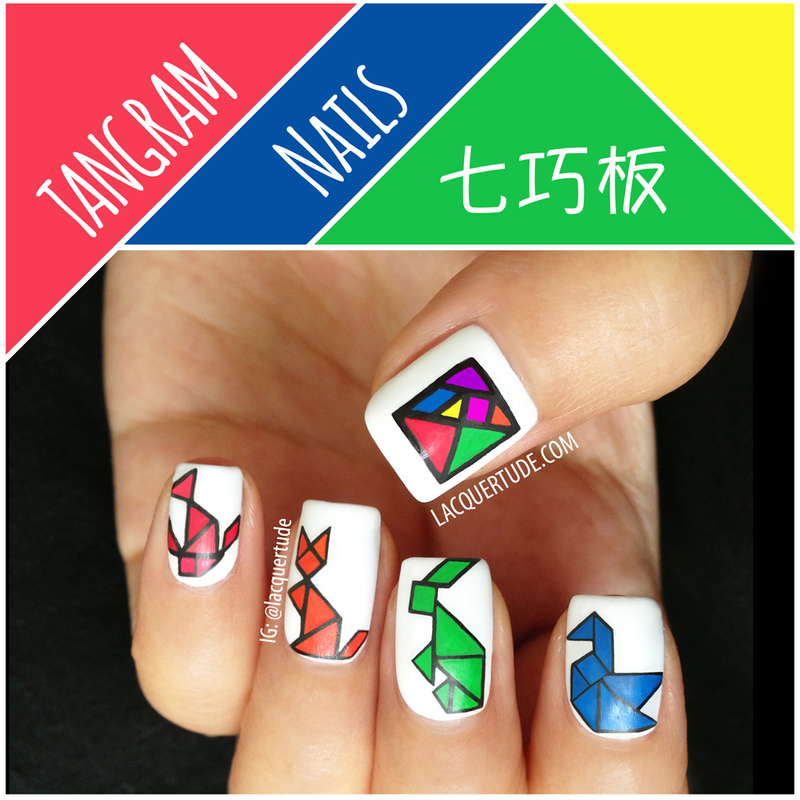 I think it’s a very good job, your tangram nails are absolutly perfect.